Video Editing Project -Students will practice using Adobe Premiere Pro Creative Cloud, a non-linear editing software, and will be given several video clips to create a video. Missing class on March 22, 2016 – Students on present during this class tutorial will need to do their own work. They will be on their own for this project. They can follow the assignment and use the video tutorials. 1. Check list: Before posting video to D2L, use the Checklist FIRST. See below, bottom of this page. 2. Deliverables: A link to your personal YouTube channel of the edited video, published a UNLISTED only. 3. Screen shot: Provide a screen shot of video after it has been posted on YouTube. Make sure you provide a title and caption for your video. Applications – Using Adobe Premiere Pro Creative Cloud. Folder One – VideoEDITProject Files, in D2L, has the Adobe Premiere Pro CC project and the first part of the video clips. 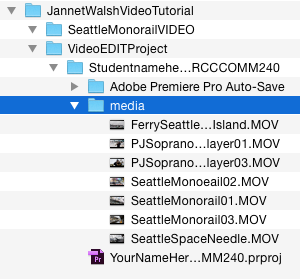 Folder Two – Seattle Monorail Video files – This folder has the second part of the media clips. Download file at D2L Video Folder. Video Tutorials, Video Editing Basics – This is for Adobe Premiere Pro CC. You use if you are doing this assignment alone or need extra help. If you are in class, just follow along. Go to Video Tutorials. 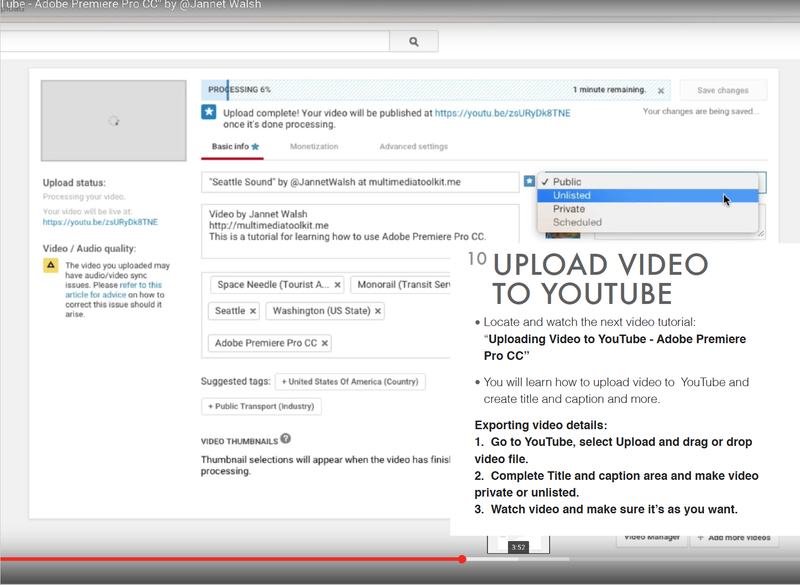 You need to first download the Video Edit Project and Seattle Monorail Video, see above. 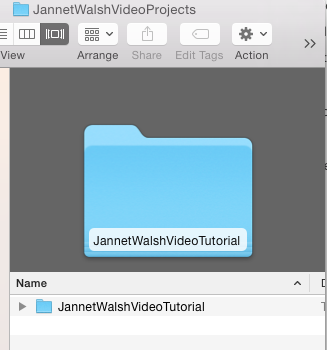 In DataHD, make a folder to store your videos for the semester, call it yourhameVIDEOS, examples: JannetWalshVIDEOS.You can use this for the rest of the semester to store your video projects. 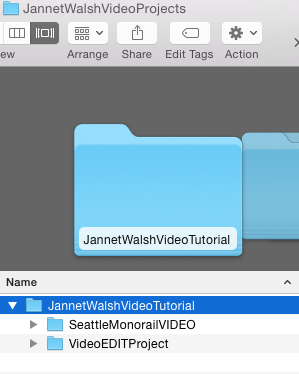 Place the folders you download earlier, VideoEDITProject and Seattle Monorail Video, inside the your VideoTutorial file. Locate the Premiere Pro project file in the Video Edit Project , it’s purple, rename with your name now. A Missing Media Alert will appear. Select Cancel. 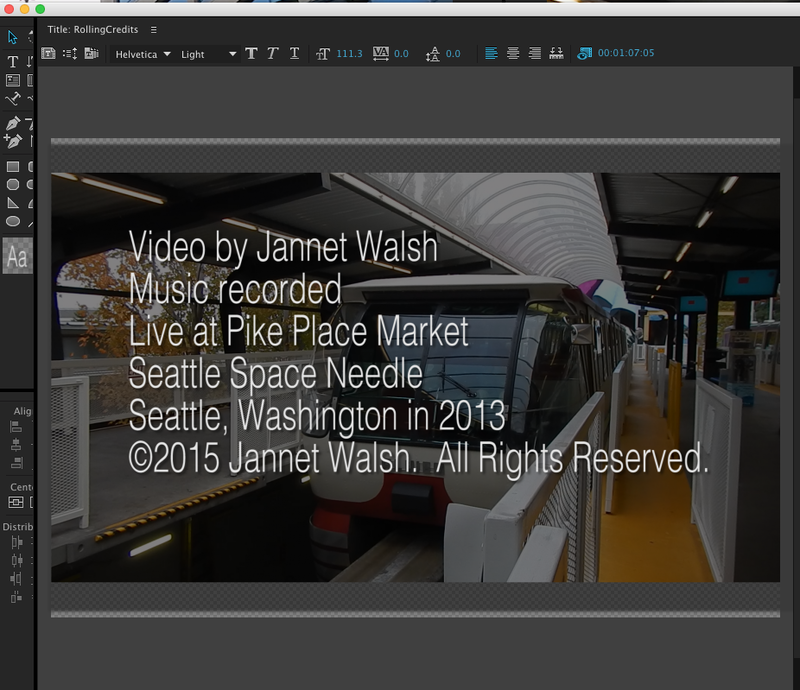 Import media clips – You will need to import the second part of the media located in the Seattle Monorail Video. This might happen if you didn’t follow directions above for combining media. 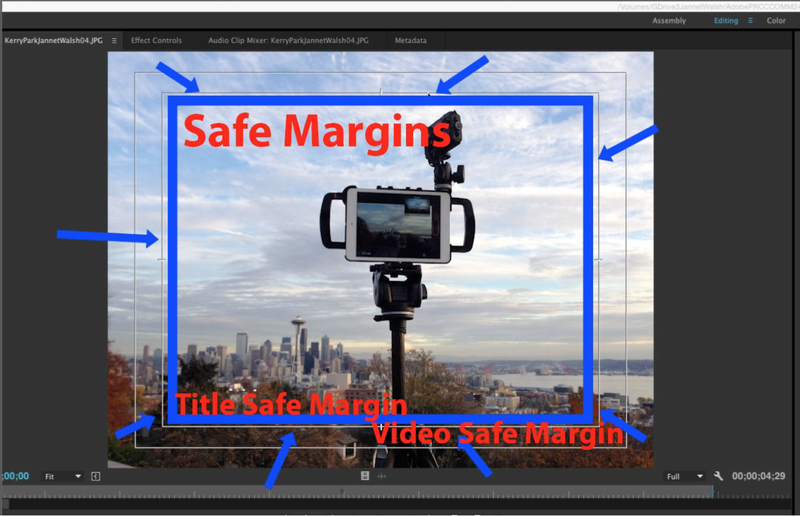 In Premiere Pro – To Import – Locate Project, your_nameVideoTutorial, lower left corner in Premiere Pro, in the Media Browser area. Locate the media folder, right click and select Import. Seattle Monorail Video – Hold down on the Shift key, click on first clip in list and last. All clips should now be highlighted in blue. Select Import. Clips should now be importing. Command + S, to save updates. You are now ready to work on your project. You are the Editor and Producer of a video shot in Seattle. It’s time to edit the video! Three Point Editing: Two points on the Media clip, In Point and Out Point. One point on the timeline, In Point. Locate the playhead or blue scrubber bar under Source Monitor, upper left corner. Set In Point in Media Clip – Move play head to about :33 seconds. From keyboard, mark with the letter I. A gray area will appear under the media clip in the Source Monitor. Set Out Point in Media Clip – Move play head to about, 1:04:04. Make sure the couple has crossed the street, no longer in view. Mark with the letter O on keyboard on media clip. Send clip to Timeline – Click on clip in Source Monitor and drag to timeline, lower right corner. Place on V1(Video)and A1(Audio) Track. First clip is now sequence, on the timeline. Command + S, save. Audio Adjustment – Set audio of the video clip to -6db. A decibel, db, is a measure of sound level. Use -6db for the standard for this video and other videos for this class. The level helps to have a consistency of the audio, not to low or high. (Skip to Audio Clip Mixer, below for preferred method) How to set audio adjustment for -6db – Go to the A1, audio, track located in the timeline. Pull down on blue A1, and the audio will appear to the right in the timeline. In the timeline, pull down on the audio until it’s about -6db, not 6db. Command + S, save. Toggle up on A1 to close. Audio Clip Mixer – Click on the V1/A1 clip in Timeline – The clip should now be displayed in the source monitor now, upper left corner. In the source monitor, click on Audio clip monitor. Click on the V1 clip again to make sure you have the right clip. On the left there is an audio meter, move the audio knob to -6db. Play clip, make sure you don’t see any red in the audio meters. Close audio clip mixer by clicking back on the Source panel in the Source Monitor. If you still see red appearing in the audio meter, make adjustments with the audio. Command + S, save. MOV. Double click on media clip to send to Source Monitor. Set In Point in Media Clip – Move playhead to set the In Point at about 1:43, keyboard letter I to set point. Set Out Point in Media Clip – Move playhead to set the Out Point at about 1:53:13, keyboard letter O to set point. 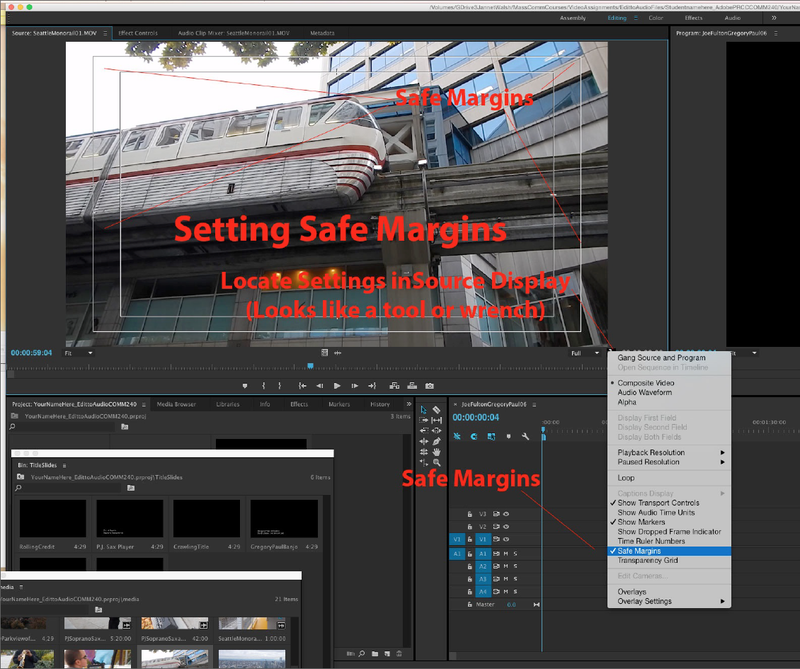 Set In Point on Timeline – Premiere Pro uses Three Point editing. An in point is required for all clips after the first one is placed on the timeline. How to set In Point on Timeline – Click on the timeline, a blue box will appear around the timeline. Move the playhead until you see the couple cross the street and can’t see them. At this point, go to keyboard letter I, for the In Point on the timeline. Place Media Clip on Timeline – Go to source clip, click on media clip, drag to timeline, place on V2 track. Command + S, save. Adjust audio clip just placed on timeline – There are now two audio tracks, from the two clips, and the current settings are too loud. Click on the V2 to make it active, will be blue. Now go to the A2, and toggle, or pull down on the audio track. Look for the M, mute, button, click and will turn green. Pull up or toggle up on the A1 to close. Command + S, save. The b-roll clip is now muted and the main audio is from the V1,A1. Expand V1 clip – Go to the V1 clip, and drag the right side of clip to about 1:30. Command + S, save. 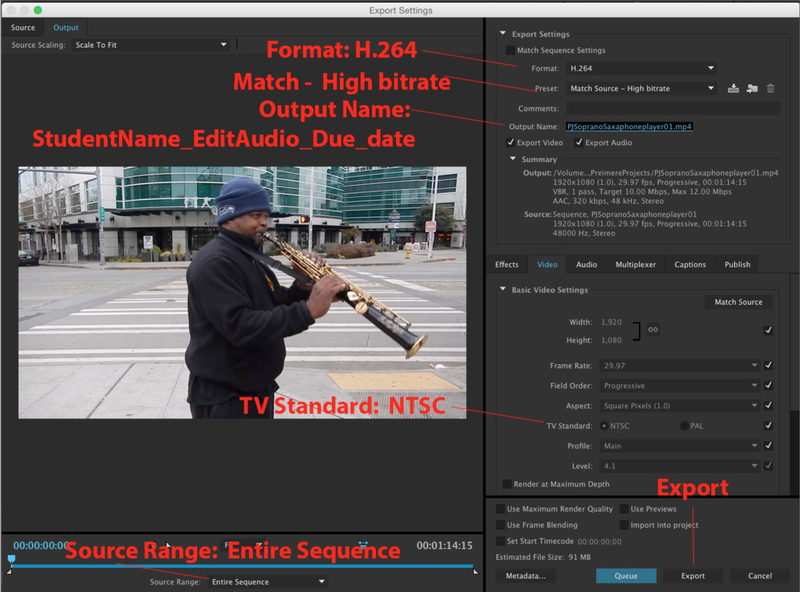 Add more B-Roll – First, in the timeline move the playhead to about :35:19, or a few seconds after the clip of the space needle stops. Mark an in point on the timeline, keyboard letter I. 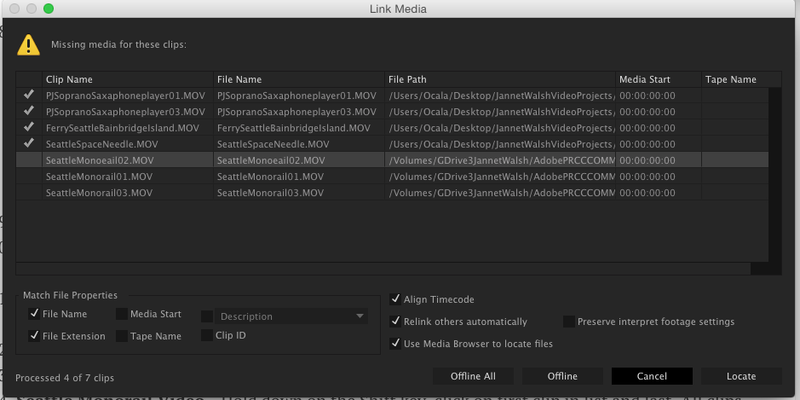 In media bin, search for clip SeattleSpaceneedleMOV -Double click and send to Source Monitor. Set In Point and Out Point SeattleSpaceneedleMOV – In Point about 01:08, keyboard letter I. Out Point, about :06:23 or so, keyboard letter O. Place Media Clip on Timeline – The in point on the timeline as already been set. Click on clip in Source Monitor, drag to V3 track. Command + S, save. Adjust audio of V3, A3 – Go to the A3, toggle down, or pull down of the blue A3. Mute the audio, click on the M. Command + S, save. Toggle up, or pull up on A3. Adjust the V3 clip – There is some camera movement at the start of the pan to right. Click on the V3, so the blue box appears. Move the playhead to the point that camera movement stops. Now click on the V3 clip of the view the Space Needle until you reach the point the camera movement is steady. Command + S, save. Adjust the V3 clip, right side of clip – Adjust the V3 clip, Space Needle, and remove any remove any of the unsteady movement. Click on clip, red arrow appears, and make adjustments. Command + S, save. Add more B-Roll – In the Media Bin, look for MOV. Double click and send to Source Monitor. Set In Point and Out Point MOV – In Point set at about :03:00 and Out Point, about :07:00. Command + S, save. Set in point on timeline – Place an In Point on the timeline about 5 seconds or so after the view from the Space Needle. Command + S, save. 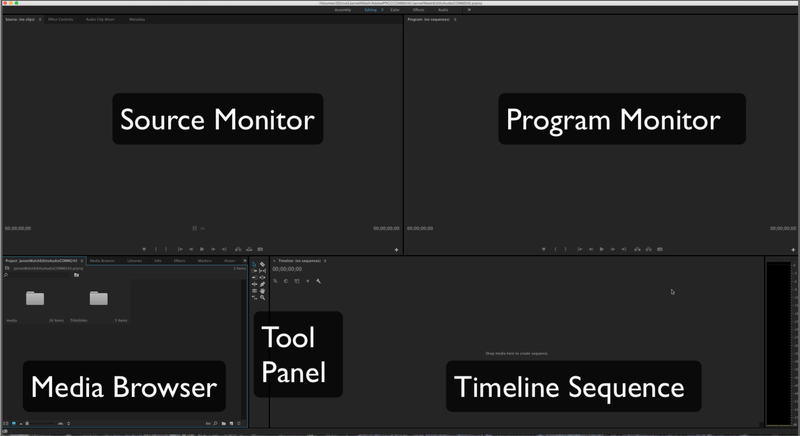 In Source Monitor and drag to timeline to track V4. Command + S, save. Adjust A4 audio track – Click on A4, make it blue or active, toggle or pull down on the A4, mute track, click on M, now green. Toggle up track or close. Command + S, save. 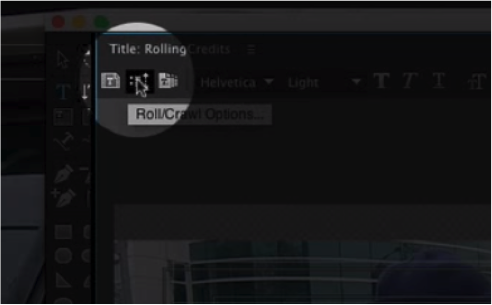 Add more B-Roll – Set an In Point on the timeline a few seconds after the ferry clip, keyboard letter I. Go to Media Bin, look for Monorail SeattleMonorail01 – Double click and send to Source Monitor. Set in point on timeline – In Point set at about 1:50:00 and Out Point, about 2:04:00. Command + S, save. Drag clip to timeline, place on V5 track. Command + S, save. Adjust A5 audio track – Click on A5, make it blue, toggle or pull down on the A5, mute track, click on M, now green. Toggle up track or close. Command + S, save. Move the V5 clip to the left to find the tilt down shot – At about :58 seconds the camera tilts down on the musician. Find that spot and move the Monorail SeattleMonorail01 clip just before the start of the tilt down. Command + S, save. Short the Monorail SeattleMonorail01 – Click on the clip, pull in on both sides, a red direction arrow will appear. Don’t cover the up all of the ferry clip. Command + S, save. 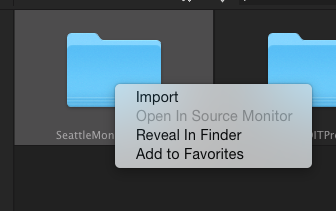 Add more B-Roll – Go to Media Bin, search for SeattleMonorail03.MOV, double click to send to Source Monitor. Set In Point and Out Point MOV – In Point set at about :18:00 and Out Point, about :27:00. Command + S, save. Set in point on timeline SeattleMonorail03.MOV – Place an In Point on the timeline about after the tilt down shot of the musician. Command + S, save. 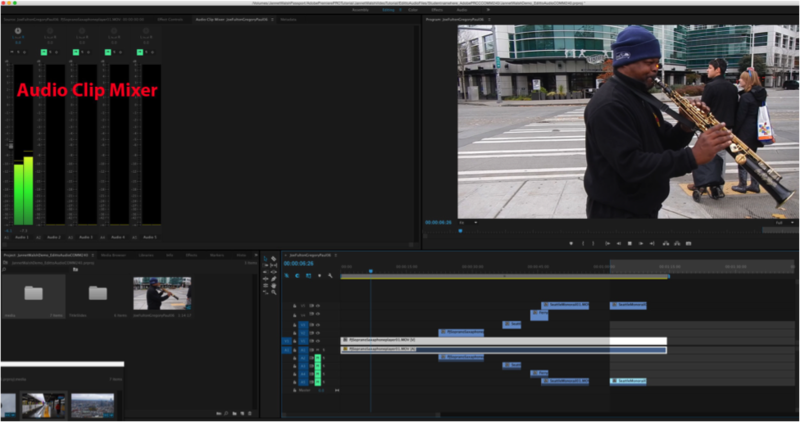 Place SeattleMonorail03.MOV on V5 track in timeline. Command + S, save. Adjust V1 and 1 – Shorten clip, drag to left, about 5 or more seconds or so after the last clip MOV. A red directional arrow will appear. Command + S, save. Audio transitions – In the lower left corner, click on the Effects Panel, near the Media Browser – Go to the Effects Panel, then Audio Transitions, find Exponential Fade. This audio effect will gradually raise and lower audio, good for beginning and end of an audio clip, not coming to an abrupt end. Place audio transition start of A1 clip – From the Effects Panel, go to the Audio Transitions, locate the Exponential Fade. Click and drag to the A1 audio, not V1. There will now be a small brown transition, with letter E. Listen to the music fade in. Command + S, save. Place audio transition at end of A1 clip – Follow the same directions, but place at the end of the A1 clip. Listen to the music fade out. Command + S, save. Main Title Slide for Video – Set an In Point on timeline at the start of the video for the Main title slide. Locate Title Slides in project area, near Media Browser – Find the MainVideoTitle and drag to timeline. Command + S, save. Video Transition, for Main Title Slide – Go to Effects Panel, lower right corner, look for video transitions. Look for Dissolves, then Additive Dissolve. Add Additive Dissolve – Click on the Additive Dissolve and drop at at beginning of Main Title Slide slide. Go back to Effects panel and repeat, add to end of Main Title Slide. Command + S, save. Play and check as watch as the clip appear and fades. Add title slide for P.J. 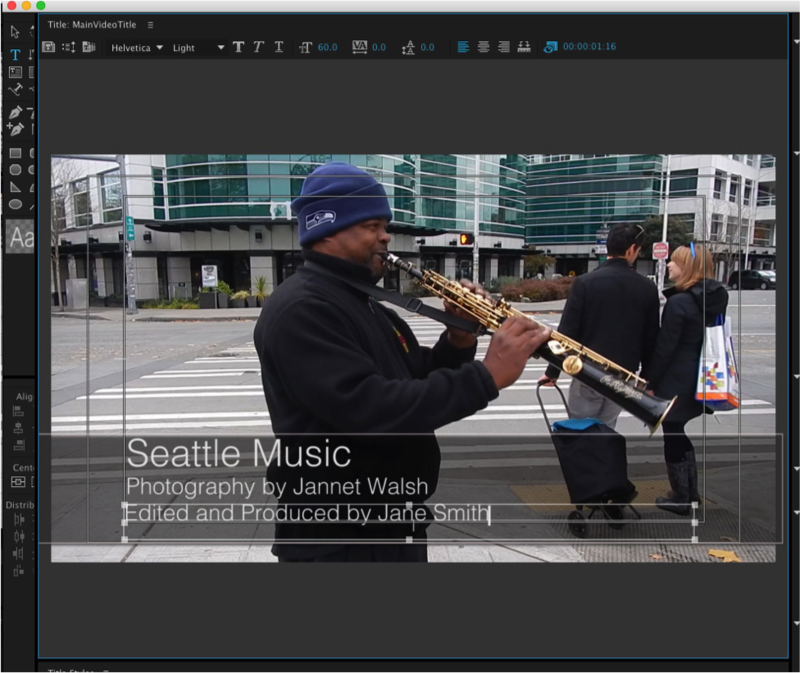 Sax Player – Add an In Point about 8 seconds after the start of the video for a title slide for the saxophone player. Command + S, save. Place P.J.Sax Player title slide in Timeline – Command + S, save. Add Additive Dissolve J.Sax Player – Follow directions above for adding Additive Dissolve for P.J.Sax Player. Crawling Title – This title travels on the bottom of the screen, left to right, and can start on the screen. The time can be adjusted by simply stretching the title slide, grabbing one end. The text must be easy to read and adjustments for time is vital. Set In Point Crawling Title – Set an In Point on the timeline about where you see the Space Needle, keyboard letter I. Command + S, save. Place Crawling Title – Click on Crawling Title and place on timeline. Command + S, save. Adjustment for Crawling Title – Double click title, and the Titler will appear. Go to the Roll/Crawl option, small button, upper left corner, icon with arrows, between the T, Click. Make sure title is crawling left, and ends off screen, then click OK. Command +S, save. Time adjustments for Crawling Title – The current speed is too fast. Simply expand the title, grab an end of clip and check. If you can’t easily read it, it’s too fast. Test and make adjustments. Command + S, save. Set In Point for Rolling Credits – On the timeline, set an In Point about 8 or seconds from the end, adjust later if needed. Place Rolling Credits – Grab the rolling credits and place on timeline. Command + S, save. Updating Rolling Credits – Double click on Rolling Credits, add Edited and Produced by your first and last name to the Rolling Credits. Command + S, save. Adjust time Rolling Credits – Expand clip to make it roll slower so it is easy to read. Command + S, save. Make adjust must with V1/A1 – Expand the V1 clip to cover the rolling clip, just pull on clip to expand. Command + S, save. Go to Effects, Video Transition – Click on the V1 clip in the timeline. Go to Effects, Video Transitions, then Dissolve, then Dip to Black. Click and drag onto the VI track and add to end of clip. Command + S, save. Check clip. Note about transitions – Audio and video transitions can be expanded or shortened. Use the bar on the bottom of the timeline to expand view of clips to make it easier to see transitions. Review your video and make and adjustments before the final step, exporting. Length of video – The length of the video is just over one minute, depending on editing. See instructor’s final version of this project. There’s many ways to edit a video with media clips and title slides. Pacing is good, but could be tweaked a bit. Some clips may run a little too long (or are too short), and/or cuts don’t quite fall on the beats, or match other appropriate points in the music.